Gartner identified in its recent Predict 2011 study that “Delivering Growth & Innovation via IT” is now at the top of the issues facing CIOs world wide. I have written in my blog ( http://bit.ly/gRfXSr ) some of my views on how CIOs could generate revenue for organisations. I believe the time is here for CIOs to make their departments profit centres or at least revenue centres. I believe the place to start is to build a strong partnership with the business development function of the company; marketing and sales. By forming a strong and formal association with them, numerous opportunities to generate revenue will emerge. Learning how to spend money to make money, and be accountable for it, is one of the learning processes CIOs need to go through. So, as we enter into this new phase of using IT, not just as an enabler but as a platform to help to grow our corporations, I asked Andrew Henderson (ING Direct’s CIO) his views on the subject. Andrew has been with ING Direct for 8 years, most recently as CIO reporting to CEO Don Koch. During his time at ING Direct Andrew has been exposed to numerous opportunities to use IT in order to generate revenue for his organisation. MT: Can you briefly outline the IT business model for ING Direct? ING Direct focuses primarily on providing simple but sophisticated solutions and superior customer service. We do this by focusing on the customer experience, by maintaining our low cost operating model and architecture and by investing in small set of core areas that will make a difference to the customer. MT: How do you think CIOs can start the process of contributing to the revenue of the corporation? CIOs can contribute to the generation of revenue by ensuring that they maintain close relationships with their business counterparts. It is crucial for the effective utilisation of technology, that CIOs and their team are able to bring the potential of technology to the table very early in the gestation of a new idea. This allows time for the value proposition to be developed, but also gives the business the chance to fully leverage the power they have in their ICT teams. Most organisations have talented and innovative technologists hidden with the ICT environment—we can create significant value by having them in the conversation a lot earlier. MT: Do you think social networking and associated technologies have a role to play in generating revenue? Social media is clearly playing a significant role in the consumer world, and there are many opportunities. Each organisation will need to find out what this means to them, where the value might be and to what extent they want to engage in this—the key issues to resolve in advance are; what is expected from it; what it will be used for; and how will it be used. MT: Is there any role for the CIO in the development of a corporate strategy that aims for growth? CIOs need to play a strong role in the development of the overall corporate strategy, and then ensure that the alignment between the business and IT strategies is clear. 1) Strategy – here the IT planning and architecture, coupled with a strong business development team need to be in place and accountable for technology alignment across the corporate strategy. 2) Solutions Delivery – it is essential to deliver on the promises we make. This team is clearly accountable for delivery of the solutions, and ensuring that we realise the value by delivering on time, and by being smart about where to invest in technology. MT: Can IT innovation and R&D be used effectively to generate efficiencies and potential revenue? Absolutely, especially around smart automation, leveraging full capability from the technology we have already (many times organisations have capability that they are not leveraging) and looking at process improvement supported by technology—not just technology solutions first. MT: What do CIOs need to do to get closer to Business Developers/Marketing/Sales people? CIOs are executive leaders within the organisation so they should have a clear understanding of the corporate vision, the strategy and the core business drivers over the short and long term. They will need to engage as a business leader themselves, build strong relationships so that the organisation leverages technology in the right way. They will also need strong leaders within their own management teams to also engage deeper into the business, to understand the business and to ensure that we execute as promised at the strategy level. This is not just the CIO’s role—the CIO will need a strong team within IT that understands the vision and can lead the team to execution. To achieve this, some organisations have roles such as Key Relationship Managers At times, these roles also report to business leaders as well as the CIO. 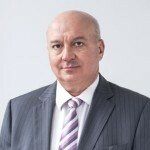 Marco Tapia is managing director of PicNet (www.PicNet.com.au). He is a former CIO with broad national and international experience, and is an enthusiastic supporter of Australia’s IT innovation.